If you haven’t heard, I’m going to South Asia. And I know you’re on pins and needles wondering how you can help fund this trip, right? Hahaha. But really, if you would like to support the trip you can do so in a few ways. 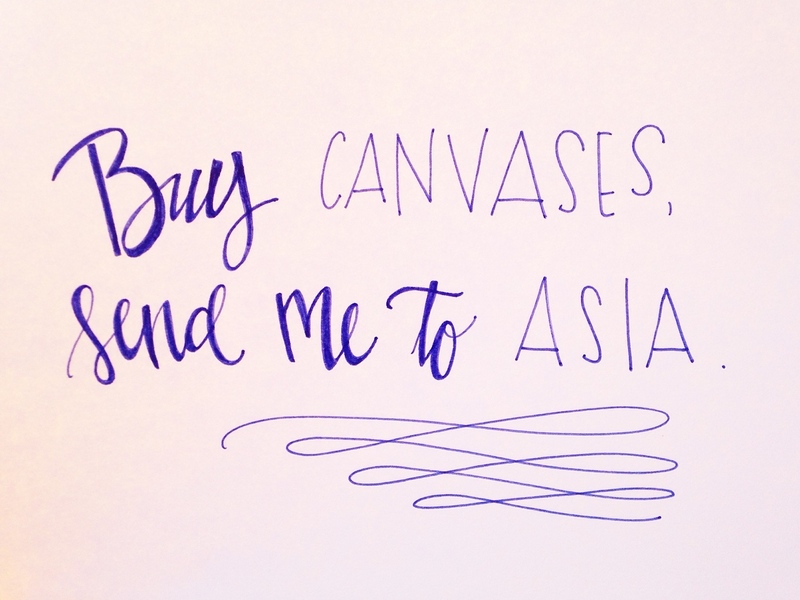 Financially, through a) making a donation, b) scheduling a photo shoot or c) buying a handlettered canvas. If you’re interested in the canvases, here is a link to show you some of my work. You can pay through PayPal or send a check. Email me at sophie[at]realtruthmatters[dot]com if you’re interested in placing a custom order or you want to order something from the pinterest board. Beyond financial support, we really need your prayers. As I mentioned in the first blog about the trip, we’ve been encouraged by the IMB to have at least 10 partners sending us out through prayer daily while we are in South Asia. With our team of seven, that means at least 70 people would be part of our prayer team. If you choose to partner in prayer, either leave me a comment with your email address or shoot me an email so I can include you on team updates and prayer needs. Thank you for your love and support and for being obedient to the command our Lord has given to go and make disciples of all nations. 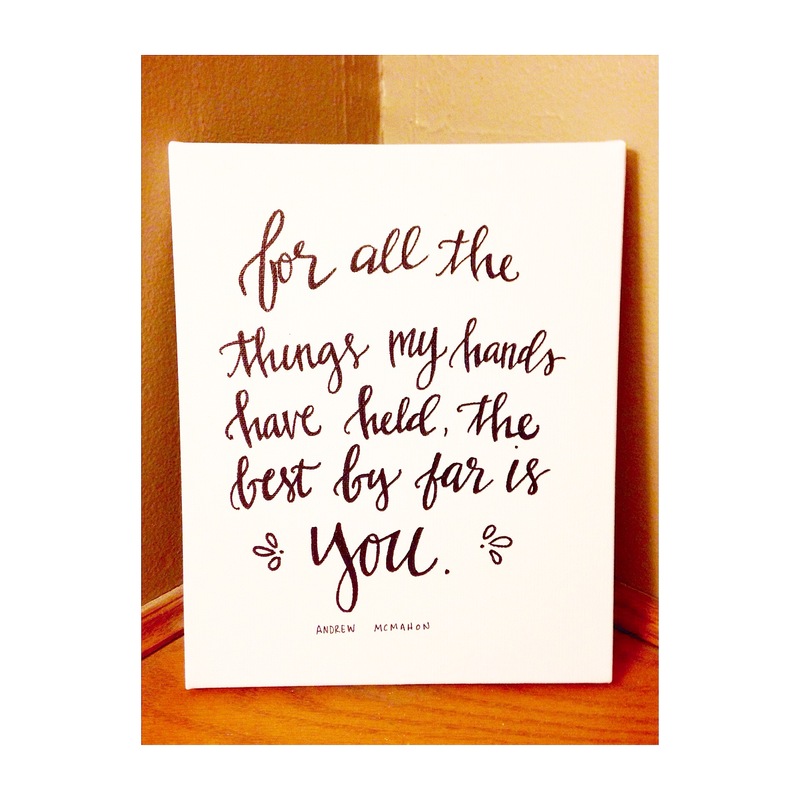 This entry was posted in Journaling, Lettering for the World. Tagged andrew mcmahon, fundraising, Gospel, great commission, handlettered canvases, handlettering, imb, international mission board, Jesus, missions, south asia, support raising. Would love to keep you in prayer, sis! Please keep me posted! !